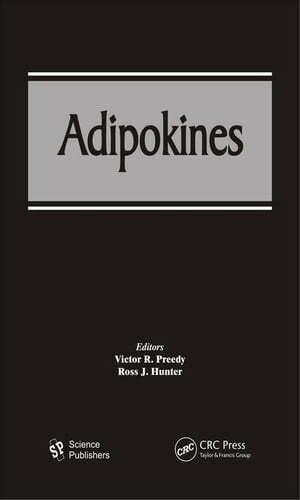 Collins Booksellers - Adipokines by Preedy, Victor R., 9781439879887. Buy this book online. Adipokines (also called adipocytokines) are a group of peptides secreted by adipose tissue. They have diverse roles, from functions in the individual cell to the whole body. This volume examines a wide range of specific adipokines as well as their general cellular aspects, including thermal stress and adipokine expression, central nervous system roles for adiponectin in neuroendocrine and autonomic function, and astroglial leptin receptors. It discusses related diseases and conditions such as nonalcoholic fatty liver disease, metabolic syndrome, heart and rheumatic diseases, and allergies and sleep disorders.